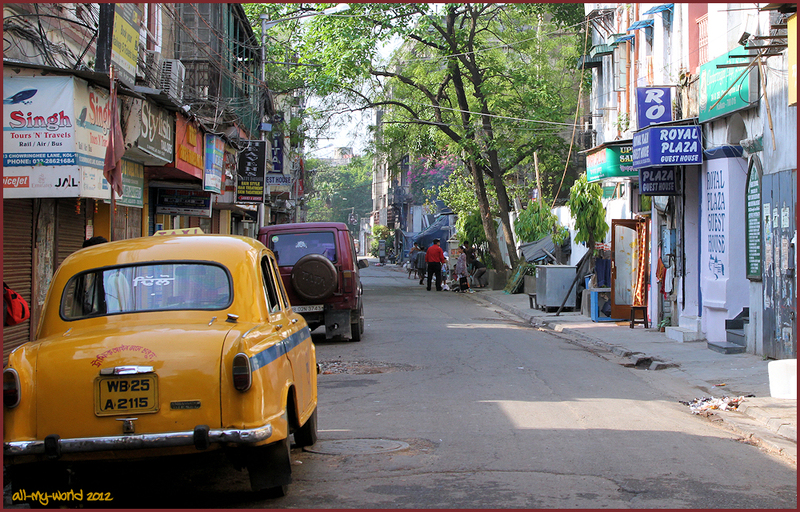 We are in the residential suburbs of Kolkata, for a quick view and to see if we can find a coffee&cake interlude. No chance of a candid shot here, as these ladies have spotted me and are laughing and calling out cheeky greetings as they speed past in their taxi. It is a fairly quiet and leisurely scene here, and it is clear a little more care is taken to make the street clean and neat. Great series of pictures, I love the street views. The ladies had an eye on you, Ray...HA. Btw how are you doing after your crash? That is hard work, Ray. Are your wounds healing? C'est toujours le sourire et les couleurs qui priment dans ce pays c'est bien agreable !! Oh, this is a colourful bunch - the man is working hard. Oh yes, quite a contrast in this ‘more respectable’ part of the city. Love the smiling ladies but I bet the cyclist was not smiling Ray. Are they on offer, four for the price of three, or something like that? Actually this is a lovely spontaneous image.. They've certainly got their eyes on you Ray, perhaps they don't get to see many handsome Australians. I read you've had a crash, I trust you are all o.k. after whatever happened. Some pleasing smiles and you can't but think of the heavy load for the fellow. These are so wonderfully composed given that they are street photography 'on the move'....good eye! great shots, especially the smiles on the top shot really make it for me, Ray.